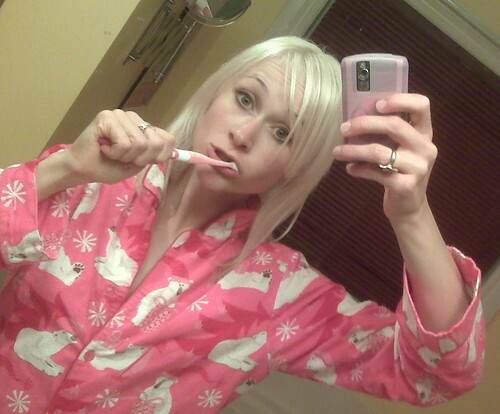 Lauren O’Neil, aka Lauren O’Nizzle is a 24 year old journalism student at the University of Western Ontario. She’s working on her master’s degree, but she’s already the most sophisticated, web tech-savvy pop culture princess we’ve ever encountered. This girl makes media, and in less than two years she has become an outstanding example of a new type of entertainer, a socially brilliant one girl band on a noble quest to “spew random hilarity” all over the internet. 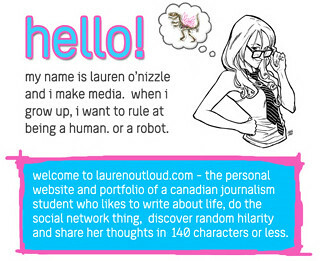 LaurenOutLoud is the website that hosts her entire menu which includes Lauren O’Neil web journalism portfolio. In addition to this formal magazine like portal, Lauren O’Nizzle’s content is distributed across numerous social mediums including, her LaurenOutLoud blog which is complimented by her twitter page @LaurenONizzle her LaurenONeal Delicious bookmarks account, her Nizzle .Posterous email blog platform, and of course her Lauren ONizzle on YouTube account. This isn’t your typical marketing student blog, or any form of high brow intellectual content, although her posts are smarter than you might expect from a 24yr old person; the largest search terms in her blog’s tag cloud are ‘funny, muchmusic, TV, youtube’ in that order, and these are followed by ‘jschool, internship, cute’ and ‘dating’. 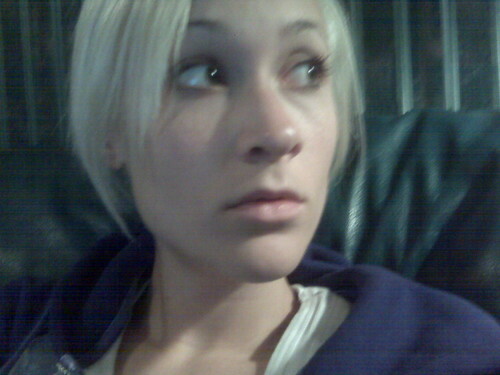 Lauren O’Nizzle is very creative, and a little nerdy in how she stretches ideas and goes the distance for her followers. She’s been know to scan and post original drawings, and apply advanced photo shop skills to borrowed images. Also impressive is her ability to infuse comedy into her video interviews. 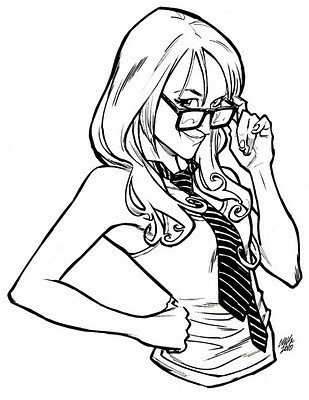 When an digital artist named Cameron Stewart cartooned her, she remarked on how the picture was ‘the sickest thing she’s ever seen’, and she used it on her menu page layout. That menu is so compelling. This young journalism student already embodies the future of electronic news media and entertainment. She is a great example of how people will soon make media for other people. Born in Chatham Ontario, Lauren moved to Windsor for her undergraduate degree, and now she lives in London. As a journalism student, her blog is a place where she doesn’t have to worry about journalistic integrity and reporting on hard news. On her blog, she can have the freedom to take sides and write about what ever she desires even if it’s about creepy old naked ladies. In a way, Lauren began blogging when she was only twelve years old, after she discovered Angelfire. In that strange space she created a diary web page called “Spaz Central.” She filled this page with animated gifs and pictures of her awkward, frizzy-haired adolescent girls posing like the young models in Seventeen magazine (pictures that had been taken with a disposable camera and scanned at the library, of course). As a self-proclaimed soul mate of Tina Fey, Conan O’Brien and Lisa Simpson, Lauren colours her stories funny and smart. Lauren loves to multitask and is always on the go; she’s a little obsessed with always creating content. When she isn’t being viral, she likes watching comedy TV shows, doing yoga, reading fashion magazines, dancing and eating sugar cereals. She’s an active blog reader and prolific commenter. And Lauren is not at all shy about having her picture taken, and her face can be seen mugging all over her media empire. Her openness gives followers a big window into the life of a young blond journalism school student in Canada. She also defines herself as being the opposite of Sarah Palin, Jay Leno and Bart Simpson. 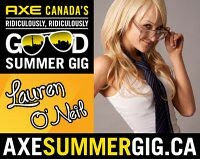 Recently, Lauren was named one of the 10 finalists in the in AXE Canada’s Ridiculously, Ridiculously Good Summer Gig Competition. Voting for the Axe Summer Gig ends on March 31st, which ironically is the very day in which her profile here on Canada Blog Friends was posted. Lauren’s considers her blog to have no true central theme. Her posts run the gamut. Funny things, weird things, pop culture, web culture, nerdities, schadenfreude and all things karma related and esp things that she observes while shopping. Half the time, she says it’s just brain vomit. Whatever is on the top of her mind at any given time is effortless transmutated into social capital. Lauren’s followers tend to be people who share her wacky sense of humour and have similar interests to her. For Lauren (Nizzle) O’Neil, blogging is how she brings her humour, lifestyle, hobbies and career aspirations to one place so she can properly share them with the rest of the world. Excellent article. What a talent gal!!! haven’t met her IRL but I love her. I first heard about Lauren yesterday when I went to Humber PR with Rob Campbell. I’m lovin’ her style. Well, you’ve found your Muskoka Girl! Good for you! I will continue to be Muskoka’s Queen of Bloggers, Muskoka Woman! she is not worth it.